Retired Marine Master Sgt. 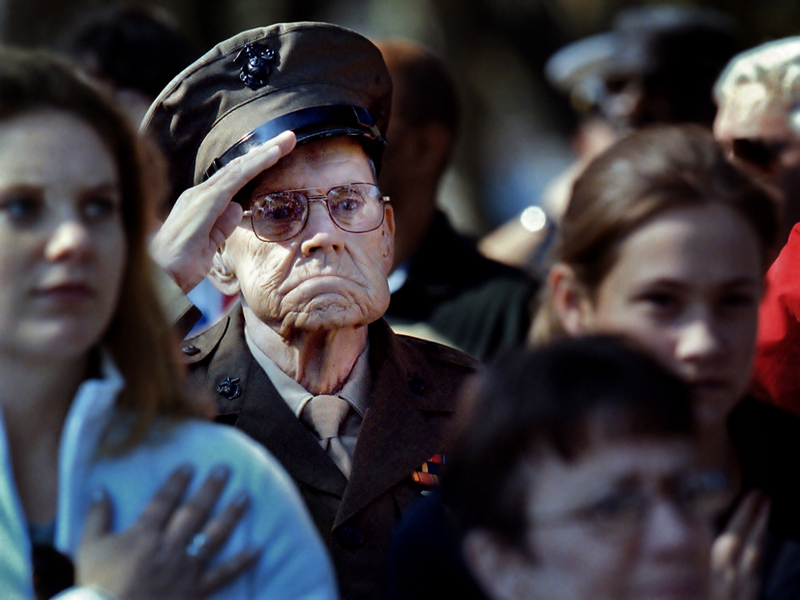 Charles Mullins of Beaufort, SC salutes the playing of the "Star Spangled Banner" on Veterans Day at the national cemetery in Beaufort S.C. 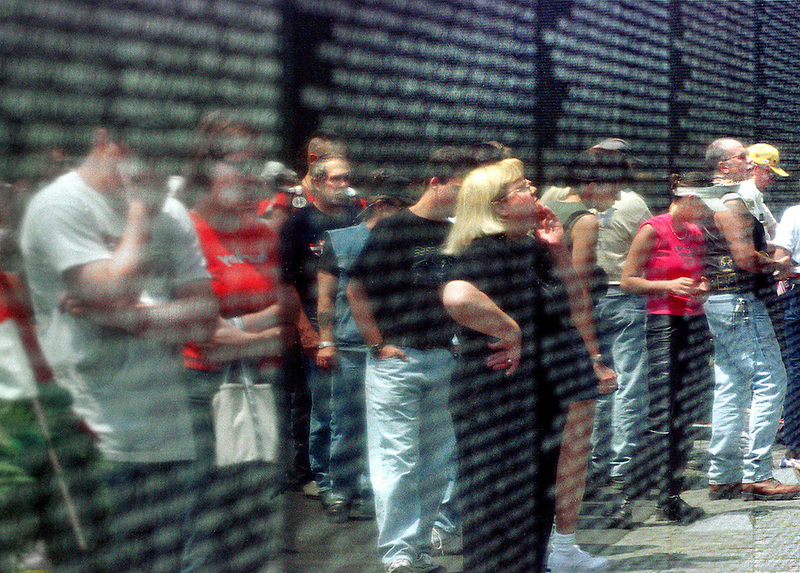 Visitors at the Vietnam War Memorial. 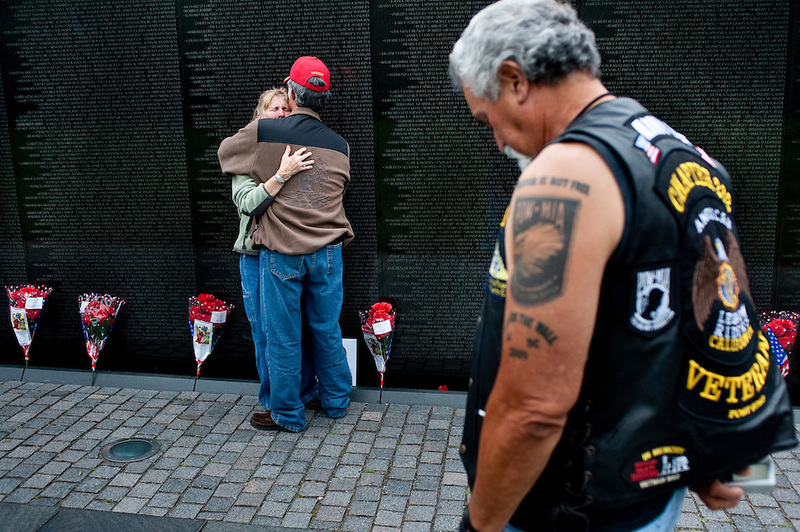 Visitors mourn at the Vietnam Veterans Memorial. 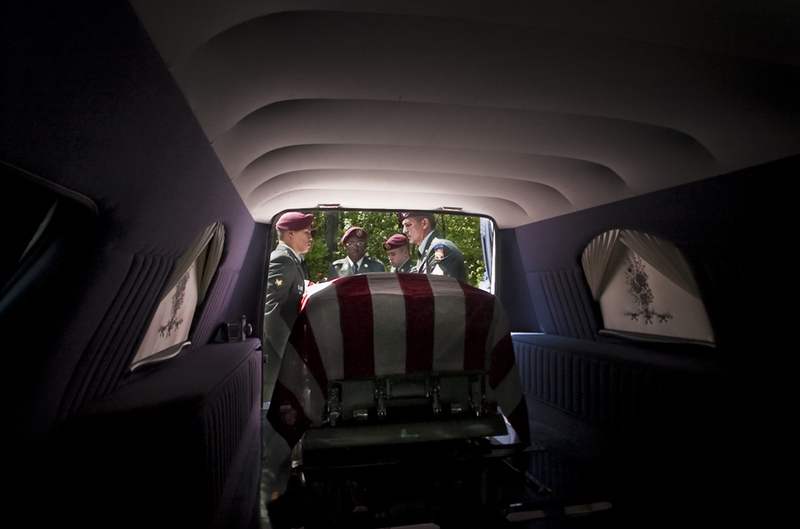 A honor guard removes the casket of Esau Patterson Jr. at the family cemetery in Ridgeland, SC. Patterson died in Baghdad, Iraq, when a vehicle approached his unit and the driver detonated a bomb. He was assigned to 4th Battalion, 27th Field Artillery Regiment, 1st Armored Division, Baumholder, Germany. Died on April 29, 2004. 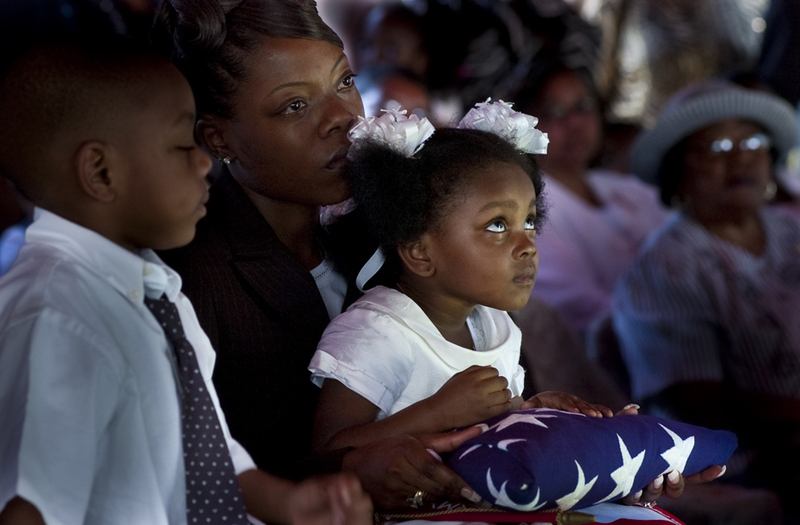 The widow and children of Esau Patterson Jr. after receiving the flag that covered his casket during gravesite services in Ridgeland, SC. Graveside service at Arlington National Cemetery. 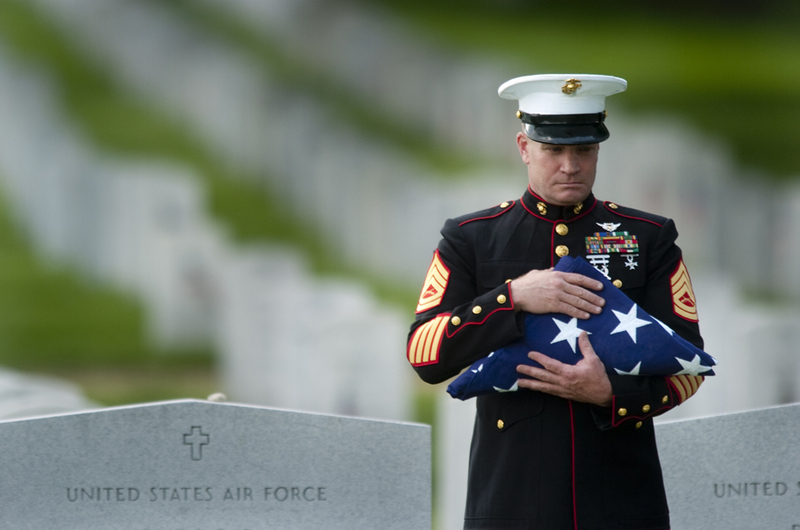 A Marine honor guard holds the flag that covered the casket of a soldier during funeral services at Arlington National Cemetery. 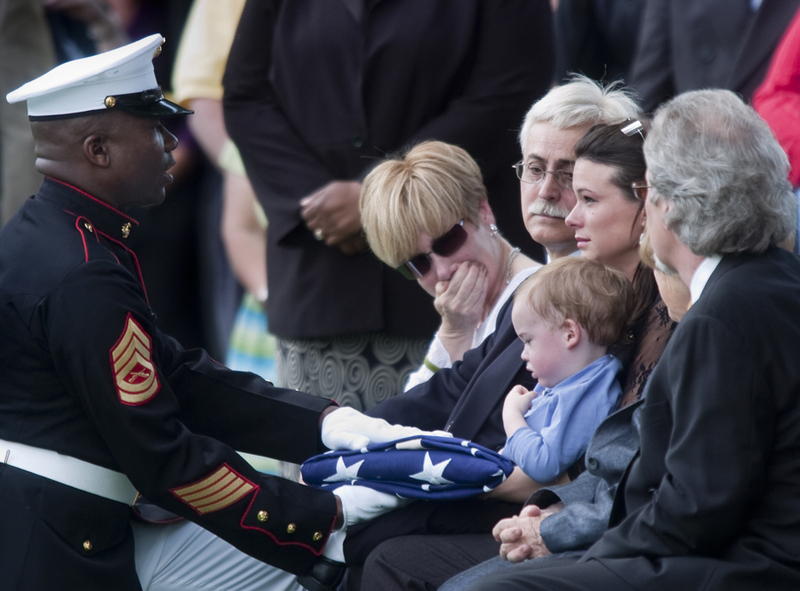 LCPL Jourdan Grez's graveside service at Arlington National Cemetery. Grez was killed May 11, 2005 when his amphibious assault vehicle struck an explosive device in Karabilah, Iraq. 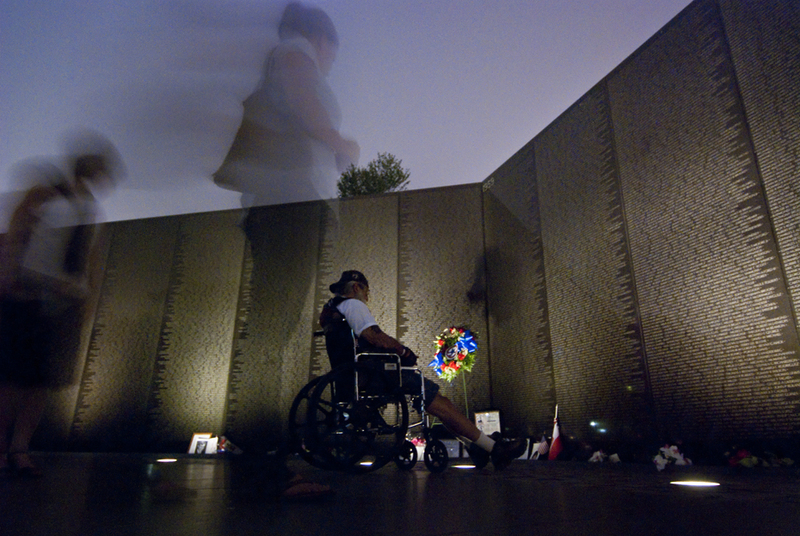 A wheelchair bound veteran visits the Vietnam Veteran's Memorial, also known as "The Wall." 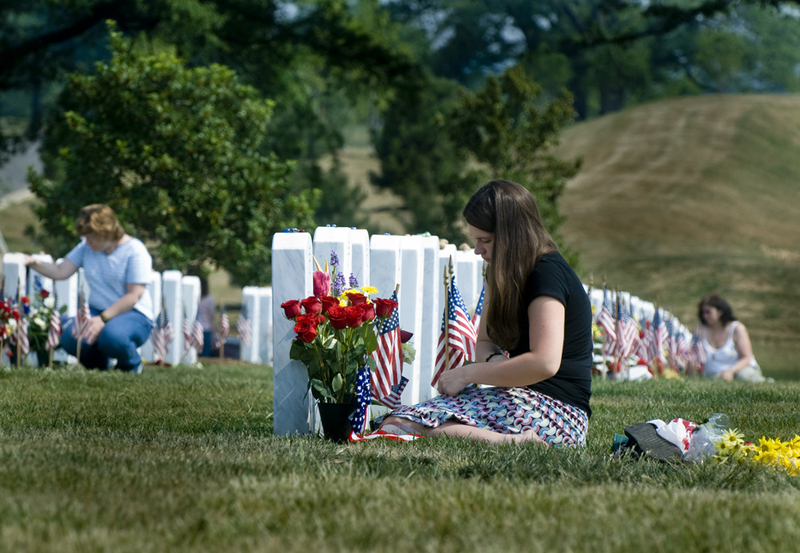 Amanda Lamb, 21, sits in front of a headstone in Section 60 of Arlington National Cemetery on Memorial Day weekend. The stone marks the grave of her best friend, U.S. Army Spc. Justin Allan Rollins, a member of the 82nd Airborne.Rollins, 22, died on March 5, 2007, when an improvised explosive device detonated near his convoy in Samarra, Iraq. Navy Capt. Nicholas Sabalos served in the military for 28 years. 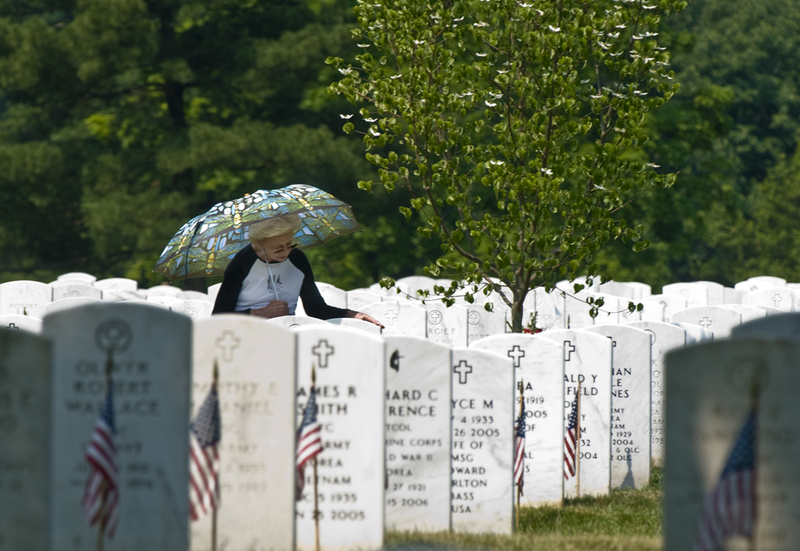 When he died nearly three years ago of liver cancer at age 74, he was buried on a hillside in Arlington National Cemetery.Since her husband’s death, Dolores Sabalos has made a habit of visiting his grave every Saturday. While she sits at her husband’s side, Mrs. Sabalos says, she tells him what she did that week and how the family is doing. 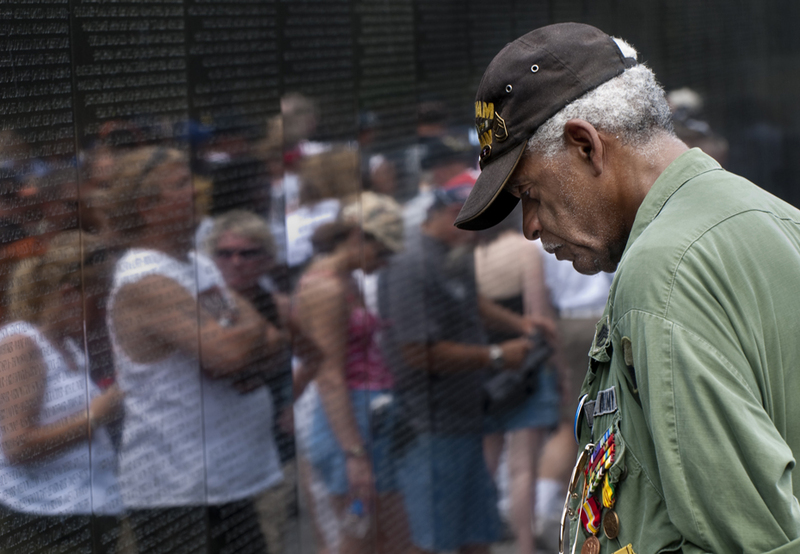 Charles J. Smith stood in the same spot in front of the Vietnam Veterans Memorial for more than an hour.Wearing a green army jacket and holding a framed photograph behind his back, Smith bowed his head and stared at a name inscribed on the granite monument. The name was that of a friend, James E. Pierce. 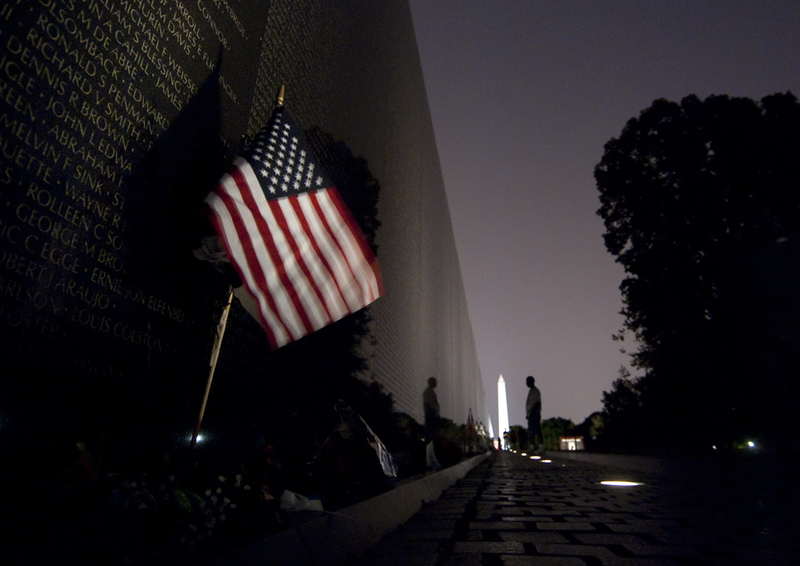 Two veterans of the Vietnam war comfort a comrade during his visit to the Vietnam Veteran's Memorial in Washington, D.C.
A late night visitor to the Vietnam Veteran's Memorial over Memorial Day weekend. 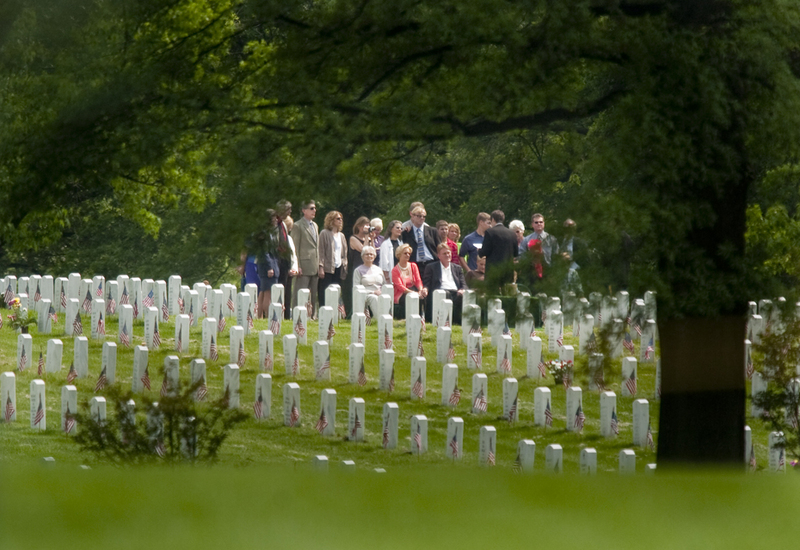 Categories: Memorial Day, People, Washington D.C. Tags: Discussion, funeral, iraq, Memorial Day, People, photojournalism, photojournalist, political photography, protest, Veteran, war, washington d.c.
With your permission as part of a rolling tribute that is going on a vehicle. I willing to pay for it’s use. Just arrived on this page accidentally, via the “vietnam war images”. These pictures pack some real power, and almost brought tears to my eyes. Great photos, thanks a lot for sharing. 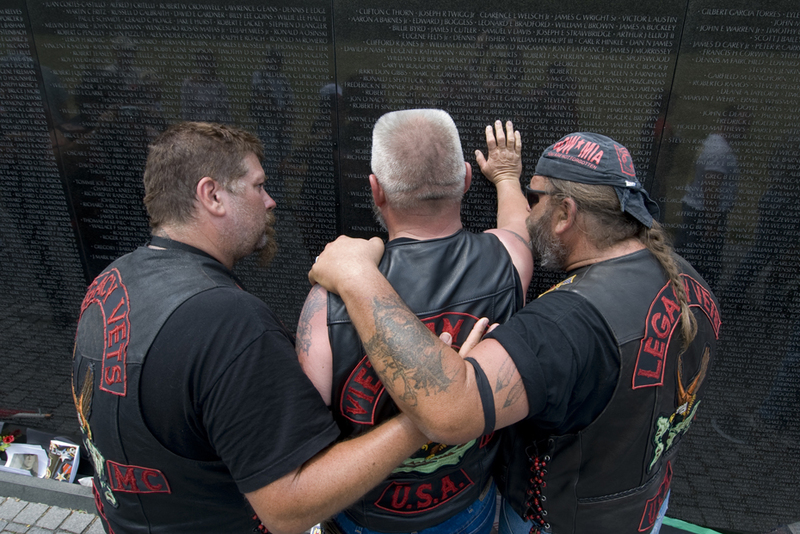 In picture 13, you state 2 veterans of the Vietnam war comfort a comrade. The two veterans wearing the Legacy Vets MC colors are actually veterans of other wars whereas the brother wearing the Vietnam Vets MC colors is a veteran on the Vietnam war. I have contacted you by email for more info. Thanks for the clarification! I was just wondering if i could use the first picture of retired marine master sgt. Charles Mullins for a school art project. For the past three days I’ve been scouring the internet looking for a good picture to base it off of, and as soon as i saw this one i knew I’d found it. In case your worried I would not be selling this picture to anyone or be claiming it as my own. Hi Tristan. Feel free to use it. If you need a higher resolution image, please email me at pete@petemarovichimages.com.